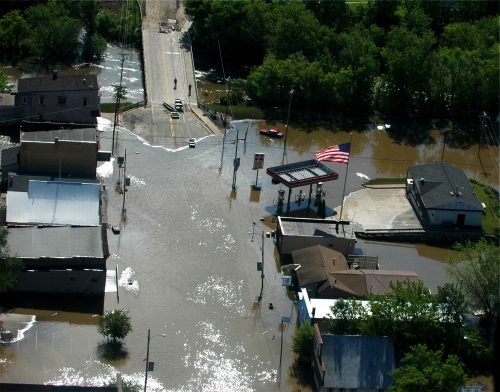 The Federal Highway Administration provided Wisconsin with $1 million and Michigan with $2 million in emergency relief funds on July 2 and July 3, respectively, to help begin repairs on roads and bridges damaged by floods triggered by heavy rains back on June 16-17. The Gogebic, Houghton, and Menominee counties in the western Upper Peninsula of Michigan received as much as seven to 10 inches of rain in a matter of hours back in late June that caused extreme runoff and flooding, damaging roads, several bridges, and causing culvert washouts. FHWA said the $2 million in “quick release” funding will be used to restore essential traffic for local communities in those affected Michigan counties. Meanwhile, in Wisconsin, severe thunderstorms and heavy rains June 16-17 caused floods that damaged highway infrastructure in the northwestern counties of Ashland, Bayfield, Burnett, Douglas, and Iron, with U.S. Highway 2, U.S. Highway 53, and State Highway 35 some of the roads hardest hit by the flooding. This initial “quick release” payment of $1 million from FHWA is considered a “first installment” on the costs of short-term repairs while the state continues damage assessments for long-term repairs, noted Acting FHWA Administrator Brandye Hendrickson, in a statement. In separate statement, Hendrickson highlighted the eighth anniversary of FHWA’s “Every Day Counts” or “EDC” initiative, which she said represents a “milestone” in innovation. “For nearly a decade, it has inspired state and local governments to adopt cutting-edge technologies and practices – from warm-mix asphalt to drones – in their ongoing quest to save lives, shorten project delivery, improve overall quality and minimize cost to the taxpayer,” she pointed out in a blog post. Since the program’s inception, Hendrickson said each state has used 14 or more of the 43 EDC innovations, and some states have adopted more than 30.